I’m joined this week by Bob Johnson from Niagara Malt and Ted Hawley from New York Craft Malt (www.NewYorkCraftMalt.com) to talk about yeast! (Does that count as a dad joke?). They’re both growing, harvesting, drying, and kilning malt right here in Western New York. They go through the process of malting and a quick local history of the brewing malt industry. You can currently find their malts at Niagara Tradition or you can go direct to New York Craft Malt if you’d like. 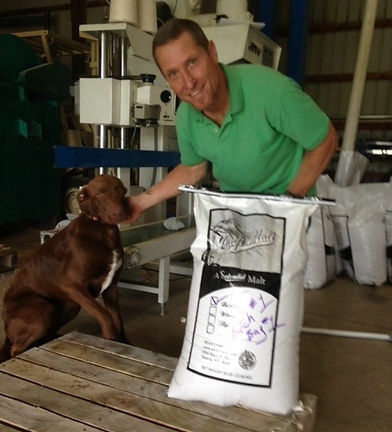 Our farm and malting operation is based at Cambria Vines N’ Bines on Lower Mountain Rd., Cambria NY. We aim to produce high quality, sustainably grown ingredients for craft brewers and distillers. We currently have approximately 1 acre of hops planted and have been using practices to become certified organic in 2015. Our on-site malting facility was designed to use water and energy efficiently. Want John’s water spreadsheets with the Buffalo numbers filled in? You can find the empty spreadsheets at his website HowtoBrew.com, or sign up for the mailing list on the right and I’ll email you the version with our numbers already plugged in, and suggested adjustments for Burton on Trent and Vienna water profiles.